Democrats in the Maryland General Assembly have passed a dubious and unnecessary amendment to the Maryland Constitution. THE GENERAL ASSEMBLY SHALL HAVE THE POWER TO ALLOW A QUALIFIED INDIVIDUAL TO REGISTER AND VOTE AT A PRECINCT POLLING PLACE ON ELECTION DAY. You may be asking yourself why such a constitutional amendment would be needed in the first place. There are an enormous number of ways that one can already register to vote without waiting until the last possible minute. And the General Assembly is looking to expand those as well, passing a law today that turns voter registration agencies such as the MVA into automatic voter registration agencies that require a citizen to opt-out of the voter registration requirement if they wish to not be registered. We certainly hope that Governor Larry Hogan decides to veto that bill. Vote by absentee ballot, as Maryland does not require you to have an excuse in order to vote absentee. As a reminder, none of this actually increases voter turnout as studies have shown that voter turnout decreases when early voting is available. The same study shows that voter participation increases with same-day voter registration. That, truly, is what Democrats are looking for. But if you think that this is going to be an improvement to our elections, you are going to be sorely mistaken. One change to election law that Democrats have been steadfastly against is voter identification. 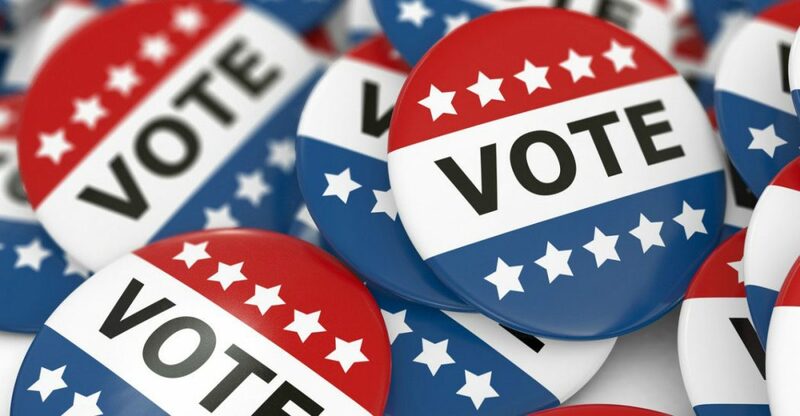 Oddly, most Marylanders assume that you need to show an ID to vote already; Tuesday on Red Maryland Radio Greg talked about how when he worked polling places on election day that voters often had their ID’s in their hands when approaching the table to check-in. Democrats have professed to be steadfastly against voter ID because of their insistence that requesting an ID to vote would lead to voter intimidation and the assertion that voters would be required to pay for a state ID. The point I’m making here, however, is that voters are not required to present ID in order to vote. They aren’t required to present an ID when registering to vote, though an MVA number can be associated with their voter registration. And if voter ID is not required in order to vote, voter ID is not going to be required to register to vote and subsequently vote on election day. Allowing for same-day voter registration and voting on election day would be problematic enough. But then you have to remember Maryland’s sordid history with election fraud, particularly the case of walking around money. Walking around money is money given by parties and campaigns to city supporters in order to turn out the vote on election day. In theory, the money is used to offset the expenses of volunteers for get-out-the-vote activities. The reality, of course, is much more sordid, with money often exchanging hands for votes. Vote buying has a long history in Maryland, going back to the Democrats handing out rum to the voters as they headed to the polls. None of this is new. Imagine what walking around money could do for a campaign with same-day voter registration in the mix? Especially in a state without voter identification laws. There would be nothing stopping a campaign from bussing in people from out of state to register to vote. There would be nothing stopping a campaign from turning out non-citizens to vote. There would be nothing to stop a campaign from sending people to register to vote at multiple polling places using fake names. All of these things are on the table with this constitutional amendment. Most people think that institutionalizing voter fraud is a bug. Maryland Democrats apparently think it’s a feature. Strangely the Democrats have already made the amendment irrelevant bypassing that automatic voter registration bill. If people starting in 2019 are to be automatically registered to vote there is no need to have a same-day voter registration mechanism in place because those people already wishing to participate will be registered. What is the need for election day voter registration if everybody who wants be registered is already registered? This constitutional amendment is merely the Maryland Democratic Party’s attempt to game the system to save itself. Knowing that people are turning away from the Democrats in droves, they figure that they might as well think of new and creative ways to steal an election. And make no mistake about it; this constitutional amendment will give Democrats new and creative ways to steal an election and to disenfranchise the voters of Maryland. You’re going to hear a lot more about this amendment between now and November. But remind your friends and neighbors that voting in Maryland is really easy; we don’t need a flawed constitutional amendment to make it easier.